Traction Alopecia is a type of gradual hair loss that is caused by constant physical stress on your hair follicles. The tight pulling leads to repeated injury to your hair roots. 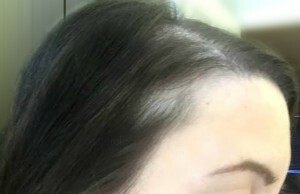 This ultimately results in killing the hair roots and hence, permanent hair loss. It is important to note that traction alopecia does not result from wearing a tight hair style or ponytail once in a while. This results when the stress has been constant over many months or years. This is more commonly seen affecting the frontal hairline over the temple region and occasionally the nape of your neck. Hair styles like tight braids or plaits, weaves, cornrows and hair accessories like tight hair bands and tight rubber bands are commonly responsible. Why do I need to Know about Prevention of Traction Alopecia? Slight scalp soreness, small bumps and hair breakage are the initial signs of traction alopecia. However, this may go on to thinning of actual hair fibres, scarring and even total hair loss in that region. Once this stage is reached, neither the hair roots nor the hair will ever come back in that area! Prefer loose free flowing hairstyles over tight pony tails and plaits. Vary your hairstyle regularly to change the direction of strain on your hair roots. If your profession requires you to have your hair tied back out of your eyes likes athletes, air hostesses or dancers, consider having a hairstyles which allows for some free flowing hair to remain near your temple region. Avoid wearing tight hats in a way that puts stress on your hairline. If you use hair sprays or gels, avoid brushing or combing your hair to remove the dried gel. Avoid sleeping with your hair in roller sets or curlers or tight braids.